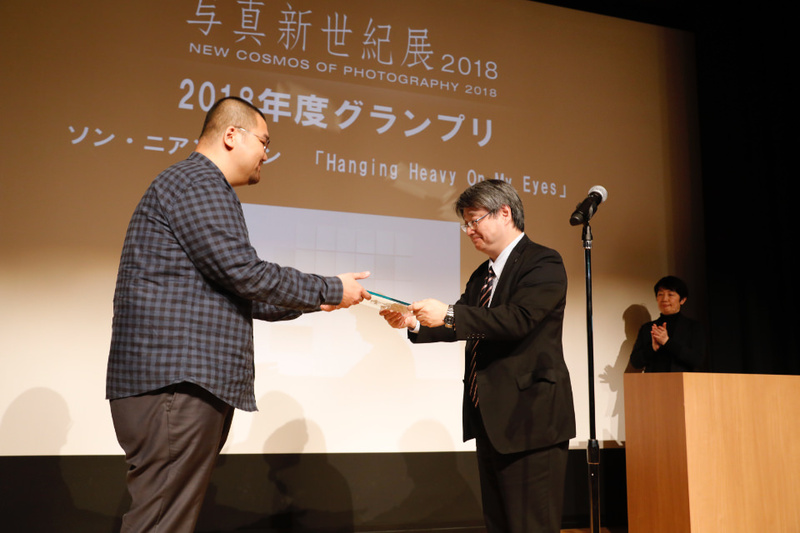 The 2018 (41st edition) New Cosmos of Photography public Grand Prize selection meeting took place on Friday November 2, 2018 at the Tokyo Photographic Art Museum. For this year&apos;s contest, we welcomed seven judges — Emilia van Lynden (artistic director of Unseen), Sandra Phillips (curator emerita at the San Francisco Museum of Modern Art), Hiraki Sawa (artist), Tomoko Sawada (artist), Noi Sawaragi (art critic), Kunie Sugiura (photographer), and Takashi Yasumura (photographer). The seven judges selected seven Excellence Award winners and 12 Honorable Mention Award winners from 1,992 entrants. 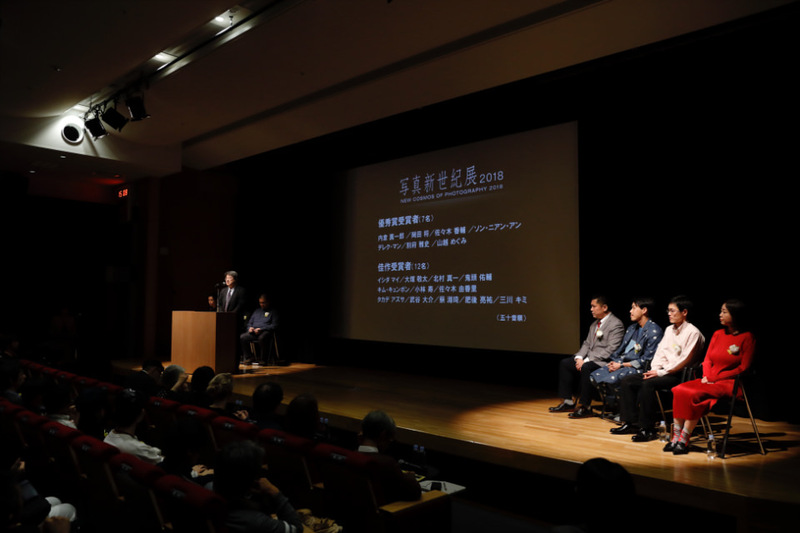 During the public Grand Prize selection meeting, the seven Excellent Award winners — Shinichiro Uchikura, Susumu Okada, Kyosuke Sasaki, Song-Nian Ang, Derek Man, Masashi Beppu, and Megumi Yamakoshi — gave presentations and took questions from the judges. After the presentations, the judges conferred together and eventually selected Song-Nian Ang as this year&apos;s Grand Prize winner. The selection meeting kicked off on Friday November 2 at 3 p.m. amid a singular atmosphere of elevated expectation and nervousness. 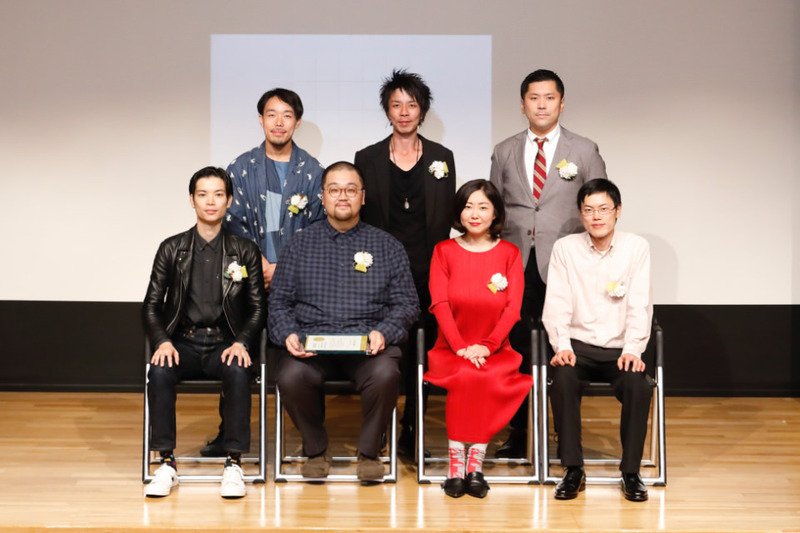 With tense expressions, the seven Grand Prize candidates made their way to the podium and took their seats, after which the seven judges took theirs. 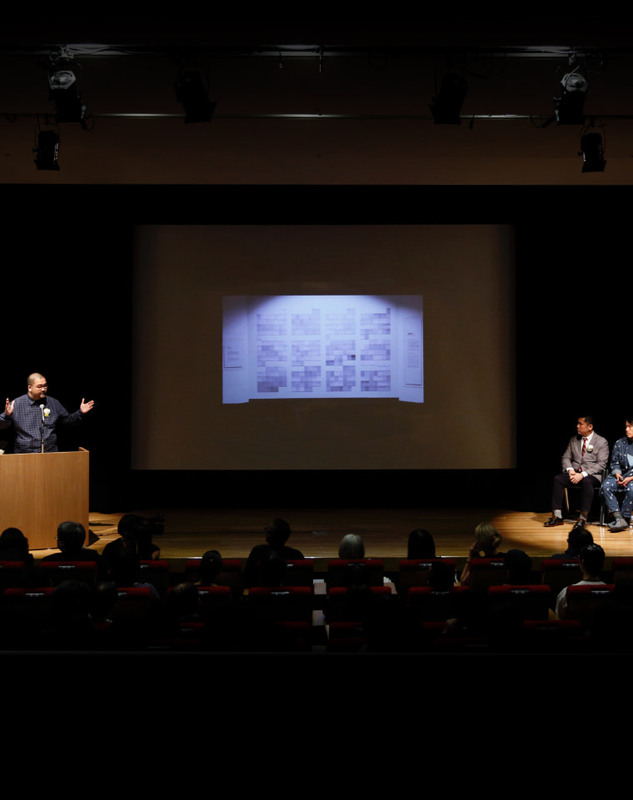 The seven Grand Prize candidates were given 10 minutes each to make a presentation, in which they described in their own words the background to and the creative intent of their works, along with their thoughts about their works. 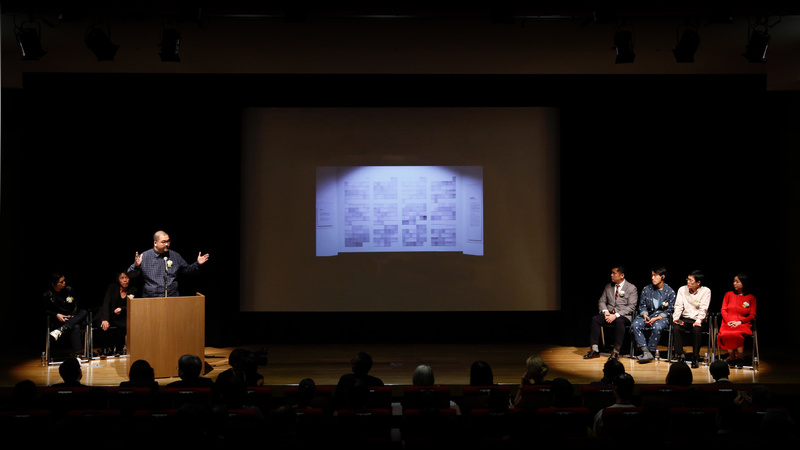 After each presentation, the judges offered both praise and sharp criticisms of the works and posed questions to the candidates, who gave well-considered answers. You can see the state of the meeting with movie. After the presentations, the judges retired to a separate room for about an hour and 40 minutes to deliberate and select the Grand Prize winner. At the awards ceremony, Song-Nian Ang was announced as the 2018 Grand Prize winner. He received one million yen in prize money and, as a bonus prize, a new Canon EOS R mirrorless SLR camera. I want to thank all the Excellent Award winners today for providing us with enthusiastic presentations. I was very impressed by what incredible presenters you are. We looked at an enormous number of portfolios and selected seven very different projects, as each judge held different opinions. I&apos;m delighted that my selection, Song-Nian Ang&apos;s work, was ultimately awarded the Grand Prize. We had a number of criteria for judging the Grand Prize selection. First, what the work was attempting to say? What idea was behind the work? How was the work trying to tell the uninitiated about urgent problems in the place the artist resides? These are very important questions. Next was the method of implementing the work. Song-Nian Ang&apos;s work is not one you can immediately comprehend on seeing it. However, it felt innovative and new to me. We live in an environment today teeming with images around us. Sometimes this can feel stressful and overwhelming. But hearing your presentation produced a truly calming feeling. Furthermore, you spoke eloquently and with grace. I found Song-Nian Ang&apos;s project to be the most encompassing. Nevertheless, it was not an easy choice. We had extremely deep and meaningful conversations about each of the works. To conclude, I would like to offer some advice to all the award winners. I&apos;d like you to provide viewers with more context for your work. If you are able to tell about the state of tension happening nowadays in a more straightforward way, such as using newspaper articles, I believe your work will resonate with many more people.